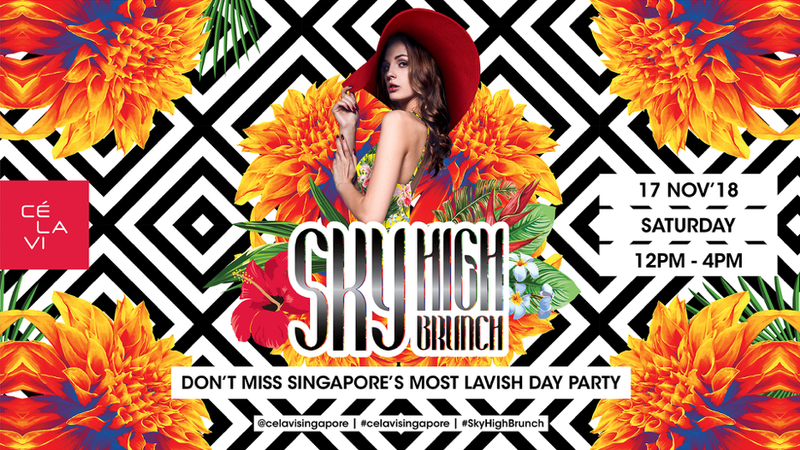 Singapore’s signature Sky High Brunch returns for its final edition of the year. Set against the magnificent views of Singapore’s Strait and Bay Cé La Vi’s Restaurant and SkyBar transform into a summer-loving rooftop party. The four-hour afternoon affair features a bottomless flow of Veuve Clicquot Yellow, contemporary cocktails such as Bacardi Limon Mojito, Lychee Bellini, Chocolate Espresso Martini and Aperol Spritz and premium pours coupled with an extensive spread of food and a dynamic playlist of tropical house beats. The specially curated brunch spread showcases seven dedicated stations featuring all-time favourites. The wide array includes; Crispy Pork Belly, Tamarind Grilled Chicken Thighs, Steamed Barramundi and Braised Duck Legs in Red Curry. The brunch will additionally feature a Satay Station showcasing Ayam Lilit, Spiced Cauliflower and Pork Satay. Completing the unprecedented curation is the Raw Bar, featuring Oysters, Prawns and Mussels. The Asian Tapas Counter will showcase dishes such as Premium Maki Sushi, Salmon Tacos, Avocado Tacos and Crispy Pork Belly Bun. The highlights of the Salad Bar include Japanese Spinach Goma, Romaine Lettuce with Miso Dressing and Pickled Pomelo. The grand finale takes place at the Dessert Bar which includes favourites such as Mango Cheesecake, Strawberry Tart and Sesame Panna Cotta Verrine. Cé La Vi’s very own DJ talents helm the deck for this spectacular brunch, spinning vibrant tropical beats with Singapore’s stunning picturesque skyline as a backdrop.